Al Capone, a well-known Italian American gangster, loved his cigars. In fact, he loved his cigars so much that a line of cigarillos was named after him in his memory. 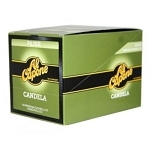 Al Capone Cigarillos are machine-made cigarillos and full of flavor that comes from the Brazilian and Nicaraguan tobacco leaves. 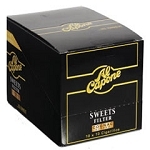 The combination of the mixture of tobacco leaves and the Bahia wrapper make the Al Capone cigarillos a full-bodied smoke with a distinctive aroma, a hint of sweetness and a smooth flavor. From the Rum flavored cigarillos to Sweets, there are plenty of flavors for cigarillo lovers everywhere to enjoy. 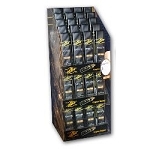 If you are buying cigarillos for yourself, or you are simply looking for a gift that your uncle, father, or even your aunt will love, Al Capone Cigarillos will do the trick. There is a flavor for everyone. Some of the flavors that you may want to try include: Mini Cigarillo Cognac, Mini Cigarillo Rum, Mini Cigarillo Natural Menthol, and even Jamaican Blaze flavored with a hint of rum. The first time that you smoke the cigarillo, you will quickly realize why Al Capone Cigarillos are coined to be one of the most popular machine-made blends of modern times. The sweet flavors attract those who love rich flavors with a hint of sweetness, and the consistency of the cigarillos is what makes these medium to full-bodied cigarillos unique. You do not have to spend an hour or more enjoying a cigar. In fact, if you are as busy as Al Capone was in his prime, you will enjoy the fact that you can enjoy a 20-minute cigar without compromising on your smoking experience. Enjoy a quick cigar by smoking Al Capone Cigarillos and you can get a dose of the distinctive aroma and sweet nuances whenever you have a little time to spare. The sweet and petite Al Capone Cigarillos are going to become a favorite because they are mild, classy, and full of flavor. Choose a cognac dipped or rum dipped cigarillo and develop your new habit. This affordable and flavorful cigar is available in non-filtered and filtered versions to suit you, your friends, your colleagues and your family. Enjoy the unique Bahia wrapper, the unique blends of tobacco and the distinctive aromas that no other cigarillo available today can offer you. 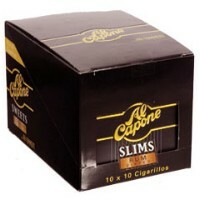 Al Capone Cigarillos are true to their name and have become famous just like the gangster they are named after.